One day, when zionism like apartheid has been discarded to the history bin, Jews every where will point to those courageous Jews, who today stand with the Palestinians, as testaments to Jewish conscience.. Sadly, until that day they will be vilified as traitors, turncoats, collaborators, self-haters, kapos, judenraat, pogromchiks and even anti-Semites. Jewish Chronicle investigation reveals Jewish, Israeli academics justify their activity as part of struggle for Palestinian rights, ending Israel’s occupation of Palestinian territories. Many of the key players in the escalating British campaign to boycott Israel are Jewish or Israeli, the Jewish Chronicle revealed in an investigation published Thursday. According to the investigation, the Jewish academics justify their stance as part of the struggle for Palestinian rights and ending Israel’s occupation of Palestinian territories. The report stated that a high proportion of the academics were deeply involved in UCU, the University and College Union, which last month sparked an international outcry by voting to facilitate a boycott of Israeli academic institutions. Anti-boycott figures suggest that the campaign has been fuelled by a well-organized mix of far-left activists and Islamic organizations, the JC reported. In reality, the main proponents are a loosely knit collection of academics and trade unionists linked to groups such as the Palestine Solidarity Campaign, Jews for the Boycotting of Israeli Goods, and Bricup, the British Committee for Universities of Palestine. Israeli Haim Bresheeth, professor of media and culture at the University of East London, seconded the UCU motion, which called for consideration of the morality of ties with Israeli academia and for discussions on boycotting. According to the JC, Bricup has a large number of Jewish supporters, among them husband and wife Hilary and Steven Rose. Hilary, a professor of social policy at Bradford University, is Bricup’s co-convenor alongside Prof Jonathan Rosenhead. Her husband, an Open University biology professor, is the organization’s secretary. They have been active in the boycott movement since 2002. 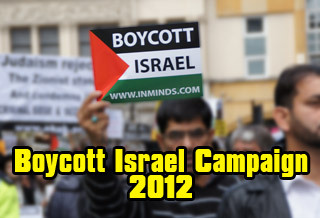 The JC today identifies the key players in the escalating British campaign to boycott Israel. Our investigation shows that many are Jewish or Israeli, and that they justify their stance as part of the struggle for Palestinian rights and ending Israel’s occupation of Palestinian territories. A high proportion are deeply involved in UCU, the University and College Union, which last month sparked an international outcry by voting to facilitate a boycott of Israeli academic institutions. Anti-boycott figures suggest that the campaign has been fuelled by a well-organised mix of far-left activists and Islamic organisations. In reality, the main proponents are a loosely knit collection of academics and trade unionists linked to groups such as the Palestine Solidarity Campaign, Jews for the Boycotting of Israeli Goods, and Bricup, the British Committee for Universities of Palestine. The proposer of the UCU motion was Brighton University philosophy lecturer Tom Hickey, who stressed that should the boycott go ahead, its target would be Israeli universities rather than individual academics. Another speaker for the UCU motion was Richard Seaford, professor of classics and ancient history at Exeter University, whose former pupils include JK Rowling. In 1990, he was a signatory to a campaign against Israel’s law of return. Last year, he refused to review a book for an Israeli journal because of “outrage” at Israel’s “brutal and illegal expansionism”. Bricup has a large number of Jewish supporters, among them husband and wife Hilary and Steven Rose. 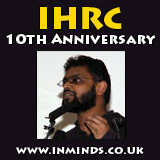 Hilary, a professor of social policy at Bradford University, is Bricup’s co-convenor alongside Prof Jonathan Rosenhead. Her husband, an Open University biology professor, is the organisation’s secretary. They have been active in the boycott movement since 2002. Birmingham University lecturer Sue Blackwell, the figurehead of an unsuccessful attempt by UCU’s predecessor, the Association of University Teachers, to force a boycott, pushed through a UCU motion calling for a moratorium on European Union research grants to Israel. In her view, the UCU had put the boycott “back on the agenda”.